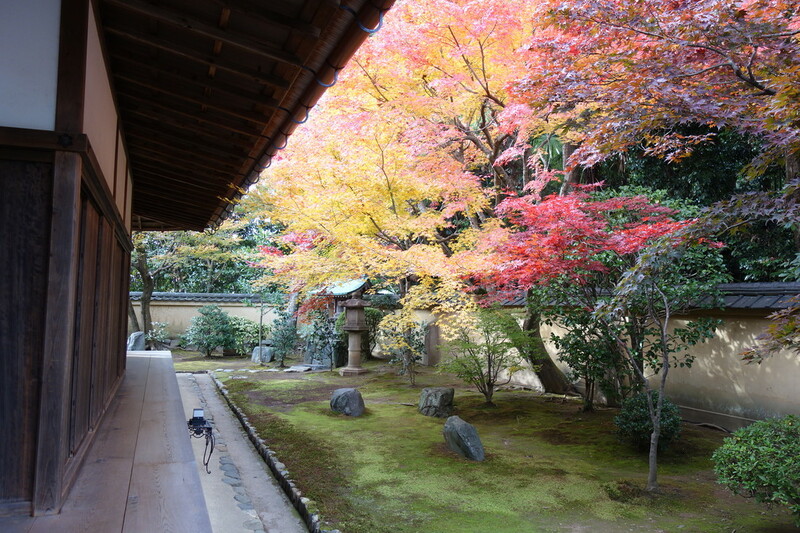 Perhaps the best time to see Kyoto is in the Autumn season. The early autumn weather is a nice respite from the heat of summer but you can still expect highs of 25-30°c in September so don’t put away the shorts and sandals quite yet. Bring an umbrella too though as we still have some storms and wet days up to the end of the month with even the odd typhoon blowing through. This is a great time to come to Kyoto to have a little taste of the heat of summer and less crowds as it’s truly a “shoulder” season. October is often regarded as one of the best months to visit Kyoto as the Fall colours start to show and the weather cools off to a pleasant 15-20°c. The other advantage of October is that the domestic tourists usually wait until later for the deep Fall when thousands descend on the city to see the peak of the autumn colours. That said, many international visitors choose October for that very reason so make sure to book early especially for hotels. Personally this is my favourite month weather wise. November is when the maples really start to show their reds. Although it’s hard to predict, in general the later in the month the darker the reds when the weather starts to cool to 10°c or less. But don't worry about coming too late as when the leaves fall on the ground they can be just as pretty especially when resting on the dark green garden moss. The first week of December can be a great time to see them and technically it’s after the season so you might get a bit more breathing room at the sights along with a bit of a winter chill in the air. My favourite tour to lead in Autumn is definitely the Hike & Hot Springs especially earlier in the season as the cooler climate makes for a more colourful start to the Fall season. We work up a little sweat on the climb to the top and then enjoy the hot baths at the end of the tour. Plus there is an amazing “maple tunnel” where the train slows down and passes through a single lane with maple trees surrounding the car. Kurama village is also where the famous Fire Festival is held every year on Oct. 22nd. Well worth the visit if you don’t mind the crowds. We also are offering a special Autumn Colours Bike Tour this year with two tours a day from 8:30-12:00pm and 1:00-5:00pm. You can even do both for a full day of exploring Kyoto on bicycle. This tour runs from Nov 10th-Nov 30th. We will take you to some of our favourite spots for maple viewing with a flexible route based on the change of the colours and to avoid the crowds by taking you to some off the beaten path temples and shrines too. And for those who want to beat the crowds, the best choice is definitely the Early Bird Experience starting from 6am in October and 6:30am in November. You can see the tops three sites in Kyoto all before breakfast. Kyoto Fun tours have been offering fun and friendly outings to travellers since 2014. Looking forward to welcoming you to Kyoto City.